Home › Australian Solar › UQ solar farm to go ahead despite complaints. UQ solar farm to go ahead despite complaints. 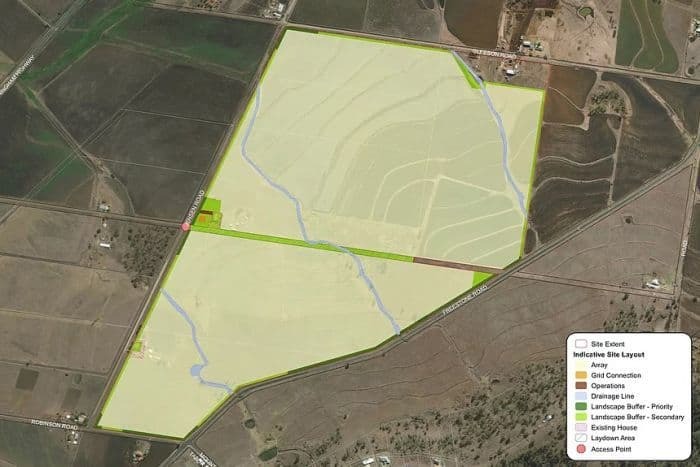 Construction of the $125 million 64MW UQ solar farm will go ahead although there have been myriad complaints from local NIMBYs in the Warwick area – the farm has received development approval from the Southern Downs Council this week. Terrain Solar were responsible for submitting the DA for the 154-hectare project at Freestone Valley – but UQ will take over when construction begins later this year. Southern Downs Council approved the DA yesterday with Mayor Tracy Dobie casting the deciding vote. Some local residents aren’t as chuffed, arguing that it represents “environmental vandalism” to put install solar panels on “good agricultural land”. We rolled our eyes too. The solar farm opposition hasn’t managed to make much of a difference, with the majority of residents still happy for the project to go ahead. “We are already the largest solar generator among Australian universities, and this initiative will complement the 50,000 existing solar panels on our campuses,” vice-chancellor and President Professor Peter Høj said in a statement. “This project makes a clear and bold statement about UQ’s commitment to leadership in renewables and demonstrates UQ is prepared to make a meaningful investment in creating a sustainable future,” vice-chancellor Høj continued. “It is the intention to graze sheep on that land and it will continue to be productive land throughout the life of the solar farm,” Cr Dobie said. “Myself and councillors understand all of the concerns but there are many, many residents who are very supportive of the solar farm. In approving the farm, the council imposed 37 discrete conditions such as the planting of natural vegetation to try and protect local views. This will make UQ the first major university in the world to offset 100% of its energy usage with renewables. The UQ solar farm will generate around 154,000 megawatt hours per year – the equivalent of offsetting around 27,000 homes. It’ll join UNSW who also committed to going 100% solar powered, thanks to Maoneng‘s Sunraysia solar plant. ← Kiamal solar farm signs a PPA with Flow Power.